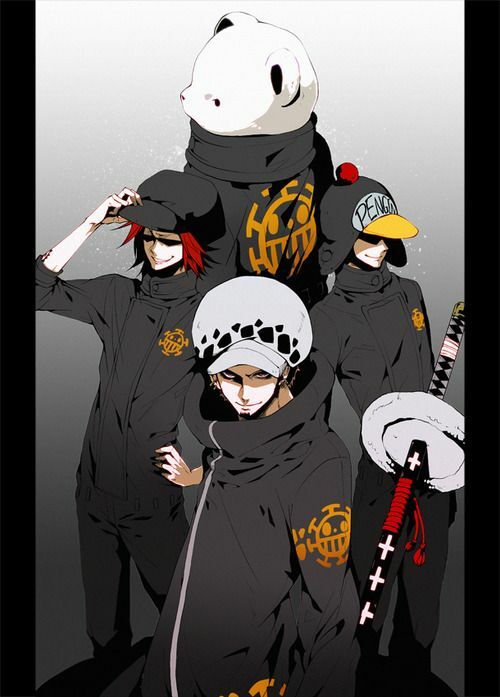 We have all seen the Trafalgar Law Crew, the Heart Pirates, before the timeskip. However, when Law approached Luffy after the timeskip, in order to propose an alliance to him, his crew was nowhere to be found. We didn’t know anything about their whereabouts. So, let’s clear some of that fog today once and for all :). Let’s start with some background, before we talk about their current whereabouts. The Heart Pirates originated in North Blue, where Law met Bepo and they decided to form the pirate crew together. Bepo is the white polar bear guy you must have seen. In fact, he is a minkman from the country of Zou. This is important, so keep it in mind for later. We met the crew at the Sabaody Archipelago arc, along with the other important Worst Generation crews. It all started with them watching Urouge and Killer fight. After that, they watched Luffy punch the world noble Saint Charloss, which resulted in the whole confrontation with the Pacifista and Admiral Kisaru. During the arc they recruited the former pirate, who was about to be sold as a slave, Jean Bart. Please note as well, that the crew members wear the same uniform. 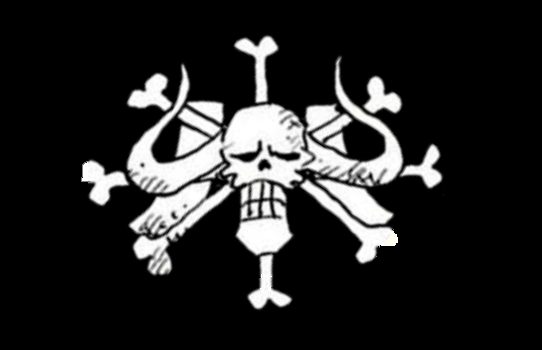 What’s important about it, is that is similar to the uniform of the slaves who were working at Tequila Wolf, except that it has their Jolly Roger on it and a different color than it. 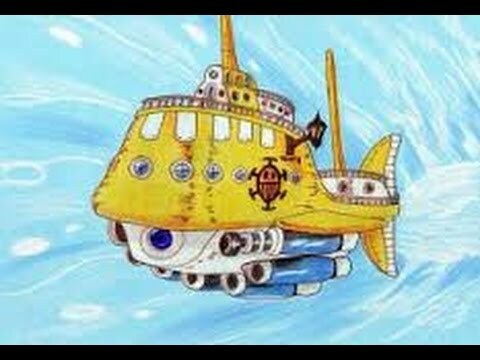 One of the most notable acts of the crew, and one that may have even foreshadowed the alliance, was the fact that they appeared with their submarine during the end of the war of the best, to save Luffy. Buggy almost didn’t give him up, but when Admiral Kizaru appeared, he knew there was nothing that he could do about it :D.
The crew was approached by a marine ship, which thankfully was navigated by Luffy’s loved one 😛 Boa Hancock, the Empress of Amazon Lily, Emporio Ivankov and of course his okamas. Luckily, their proposal was for Luffy to be treated in Amazon Lily, something that, as we all know, happened. When it was time for his crew to leave though, Law decided to stay a bit more there. We can’t imagine the reason of course :P.
Law’s crew during the timeskip was enjoying immunity from the Marines and the World Government, due to him becoming a Shichibukai during that period. 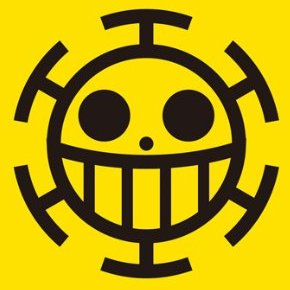 After all, he did send 100 pirate hearts to the World Government to get the title :D.
The crew headed towards Zou(Bepo’s homeland) at that time, to wait for their captain. He would ally with Straw Hat, take down Doflamingo and meet them there after that. They stayed there under the care of Nekomamushi, another mink. For those unfamiliar, Nekomamushi used to be a part of the Roger Pirates and the Whitebeard Pirates as well, serving under Kozuki Oden, the father of Momonosuke. More about him can be found here. What were they doing during the timeskip? We all knew what Trafalgar Law did during the timeskip. He apparently sent 100 pirate hearts to the World Government and acquired the title of the Seven Warlords of the sea. But what about his crew? How did they fill the time they had away from their captain? During the timeskip, Zou was attacked by the Beast Pirates of Kaido, under the command of Jack. They were looking for Raizo, the retainer of the Kozouki family, but this invasion is a topic of an upcoming post. The thing is, the Heart Pirate members played the following role in the invasion. They helped the Mink tribe defend against it. And while this is nice and interesting, the question remains. Why didn’t Law take his crew with him? What Law decided to do was in essence a suicide mission. Aside from the fact that taking down Doflamingo was a huge strategic move to hurt Kaido, it certainly contained personal reasons for Law. He had beef to settle with Doffy, ever since the death of Rosinante. The man who saved and helped Law all the way, the man who made him who he is now, the man who loved him, was killed by the hated Doflamingo. Law’s decision was influenced by emotional factors, and because he is a very considerate man in his moves, something we all know, he knew his weakness. Doffy was it, so he understood the possibility of getting all emotional and finding himself in a dire situation. Not to mention the fact that he must have known beforehand the sheer power that Doffy possessed. After all, the fact that he created an alliance with Luffy, showed that he couldn’t do it alone. 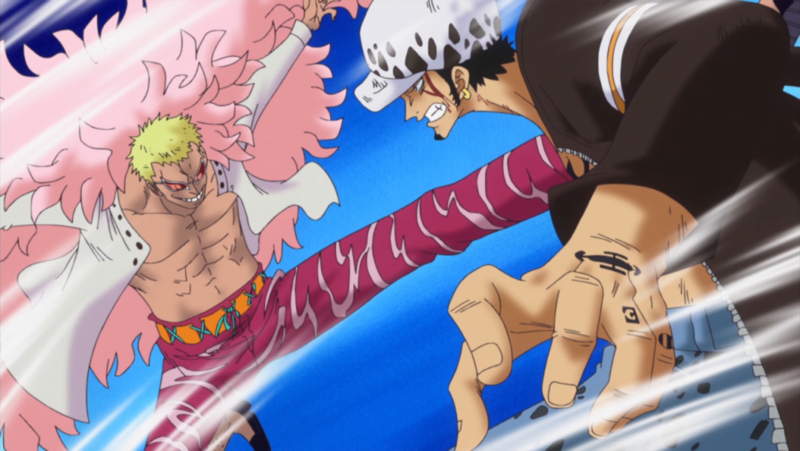 To sum up, his decision to go against Doflamingo without his crew, was a decision he had to do to protect them. The suicide mission had a high possibility of failure. His crew would be much better off, staying in an island far away from him. We haven’t seen much related to the strength of the Trafalgar Law crew. It is quite certain to say that they are somehow proficient in martial arts. Bepo was shown using his martial art skills in the Sabaody Archipelago arc. One more example that can help us understand their power, or at least gauge it, is if we remembered when Rayleigh used his haki in the same arc. When Luffy attacked the noble, he did it. The whole Heart Pirates crew was standing, after they took the haki attack from Silvers Rayleigh. Shachi was the only one that said he was a bit dizzy after it. What we can get from this is that first and foremost the whole crew is quite formidable. No weaklings here. On the other side, Shachi may be a little lower in strength, compared to the rest of the crew. The crew cruises around in their submarine, much different than most crews in the Grand Line. Their evasiveness and stealth using it, is something to be noted. 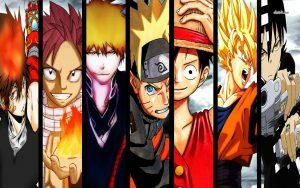 I simply Adore One Piece. Ever since it came on on Fox Kids i fell in love. Bepo is so dreamy lol. Do you think they will make a comeback on TV? I Hope so because the Law Crew was awesome. From their witty comments to there serious moments, they have been a joy to watch. 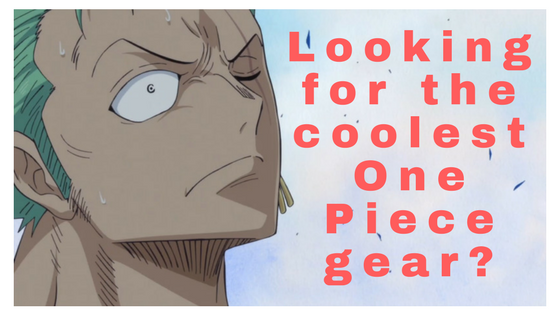 Next Next post: One Piece Sabo kills Burgess – What really happened?